PS: Amazon blocked the fourth volume and refused to tell me the reason why it was blocked… so frustrating. I don’t even know what to do to unblock it. It has come down to this point, questions and answers are useless! You evil White Emperor, look what you did to my Little Xi! “Ahya!” A strong, terrible power rose from Hua Huo’s body into the sky, the broken sword in her hand was immediately covered with a blood colored layer, and at the same time, her body became covered with runes by a crimson light shield. It was hard to believe that a human could obtain such a strong strength. Even when Yun Xi used Hydra’s power, his strength was far inferior to the Hua Huo at this moment. “Oh, this is… Rigid Body…” Casina nodded first then shook her head later. No, it wasn’t just the “Rigid Body”, it had become a higher ranking body constitution just like the White Emperor’s “Soft Body”. It looked more like the “Iron Body” or another body constitution that was similar to it. In Buddhism, buddhists called it “Buddha’s Warrior Attendant”, which meant “indestructible” and “all range defense”. It was one of the strongest hero ranked body constitutions, integrating attack and defense perfectly. Originally, the “Rigid Body” and “Soft Body” were two very rare body constitutions, the people who had an advanced body constitution of one of the two body constitutions was rarer. Today, there were even two special people of this genre, which was really a tiny probability that was like two meteorites dropped at the same location! Moreover, the male, the White Emperor had the Soft Body, and the female, Hua Huo had the Rigid Body, which was totally contrary to the usual situation. Unlike Casina’s surprise, Yun Xi had expected Hua Huo’s real strength. Oh, I knew it from the beginning. You are always so strong, you can always push your limits. In the past, I always looked at your back, looking at you walking further and further away. You are like the sun in the summer, and I’m just common grass, humble and lacklustre. Hua Huo, do you know that your talent you have showed, had made me lose confidence in myself. I never dared to imagine that we could stand on the same stage together one day. That day he tried to run away from the small town alone, he spoke out his love to Hua Huo looking at the mirror. Today, he looked at the real Hua Huo on the stage, and not that mirror. No matter whether she was angry or went crazy because of jealousy, she was always glamorous in his eyes. Therefore, as the chief criminal of her anger, he must do his best to see how strong Hua Huo really was. Only in this manner, would he be able to know how wide the gap between them was and how much effort he still needed to pay to obtain the right to marry Hua Huo. He stepped on the ground, the infinite scene in his heart spread to the air. Only he, the master of the Water God’s world, could see the entire world using this manner. He looked at the outline of this world, which was surrounded by the four World Towers and formed by eight islands and the Caelian City. Then, the earth quaked as if a mountain was toppling down, because countless white lights were gushing out of the Door of Mist along Yun Xi’s right hand. “Burning Dragon’s Roaring!” Hua Huo didn’t feel fear. Countless blood lights spread around from under her feet, crashing into Yun Xi’s “The Great Snow Crash”. The “Great Snow Crash” was formed by the cold tides made of countless white snow grains. The “Burning Dragon’s Roaring” was formed by the burning blood energy, which was even hotter than lava. This was a confrontation between water and fire, an encounter between ice and lava. From the beginning of the battle, they both immediately showed their thrilling powers. 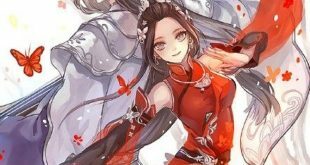 “It seems that soon after, two new bloods will ascend into the world of the legend rank.” This was the first thought in Casina’s mind when she first saw their movements. Yun Xi’s Soft Body and Hua Huo’s Rigid Body were all superb keys that could open the door of the legend rank. They wouldn’t stay at the hero rank too long. “Return my Little Xi to me!” Hua Huo roared. As translucent halos exploded under her feet, she disappeared from Yun Xi’s sight. It was her Sky Flying, the god skill Yun Xi hadn’t understood completely. This time, without the one million brides’ power, Yun Xi couldn’t even judge where Hua Huo had moved to. The ear-piercing sound of breaking the air pierced through Yun Xi’s ears later. Hua Huo’s speed was even faster than the speed of sound. Concentrating! Concentrating! Concentrating! If I let Hua Huo move close to me and grasp the rhythm of the battle, everything will be over! For a moment, Yun Xi felt he entered the state of when his body was possessed by Casina. Even time itself slowed down in his eyes. He clearly saw the traces of the ice grains, the ripples of the blood lights in the air, and the sword that was dropping from the sky to his head! I see it! I can clearly see the trace of the Sky Flying Sword! It was higher and faster than swallows, it was a god skill that was beyond the observation ability of human eyes! Nine ribbons rose in the air as if he just had nine additional arms. They formed the outline of an ice lotus and blocked off the attacking route of Hua Huo’s Sky Flying Sword. “Ding!” The ice lotus didn’t even exist for one second, then it had been crushed by Hua Huo’s sword, turning into millions of ice particles flying in the air. The sword was still flying to Yun Xi without slowing!